It seems like we are always taking on a new project around the house and this summer is no different. What I like the most is working with Frank making our vision a reality and putting together everything from the floor to decor and putting both of our tastes into a room. This summer we decided to do a home makeover on the guest space we have. Basically there is a bedroom and big living space in the back of the upstairs that never gets used so we thought we would change it into more of a suite so we can enjoy it or the guests! ​After a few discussions and a little planning we had an idea of what we wanted the space to look like. Basically change the space into a comfortable rec room that can double as a quiet space with the bedroom. Our list of things to do is large and includes everything from new flooring, furniture and new paint. We know that both of us like darker colors for a more masculine feel so that makes decisions a lot easier. An important part of the home makeover for us is setting a budget because once you start looking and purchasing items the total can add up quickly. I like to make a list of all the items we already own and can use in the space and then another one for pieces we might need. From there you can start narrowing down needs vs wants and find pieces that fit your budget. Don't forget about paint, flooring and any other changes you might be making those all add to your total as well. We have a small budget for furniture since we'll be replacing the floor and painting. We wanted either an old piece we could refinish or something new that's North American made. After many searches online we came across Sauder Woodworking Co. You'll be just as surprised as I was to find out they are North America's leading producer of ready-to-assemble furniture and the national's fifth largest residential furniture manufacturer. They manufacture 90% of the furniture in Archbold, Ohio right where they started in 1934. Crazy right and their prices are extremely affordable which is a huge bonus. 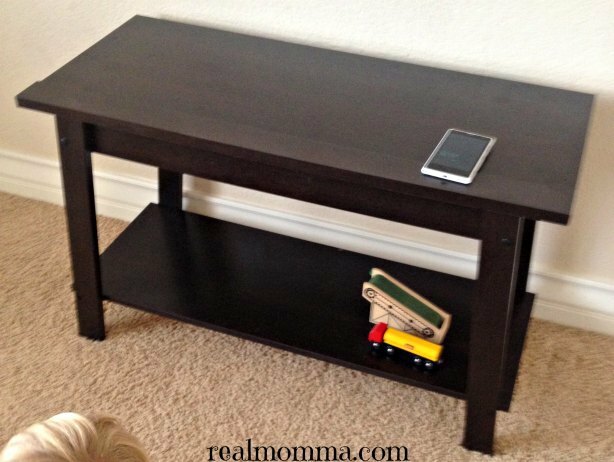 A few of the things I like about shopping online with Sauder Woodworking Co. is how easy it is to find exactly what you're looking for. They've broken all the categories down for you so whether you are looking by products, space, collection or need a little inspiration with the design center your ideal products are only a few clicks away. But something that interested me the most was how they give the exact dimensions of the piece you're interested in. The bedroom we're giving a facelift to is on the smaller side so we don't want to clutter it but still want to give guests ample storage space so they don't feel like they're living out of a suitcase. You make your final selections on the website and checkout, the process is super simple and the shipping is super quick. I received all four pieces within the same week I ordered them. 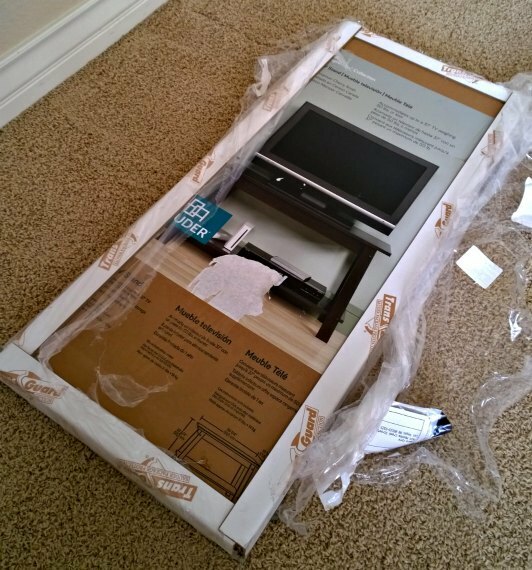 For me purchasing all the items I needed was less of a headache and I don't have a ton of extra time to start refinishing furniture. The products all arrived in their nice little boxes ready to assemble. I'm a hands on girl so I love it when I can grab a few tools and start building things with my hands. Maybe its the redneck side of me but I couldn't be happier unless I was surrounded by some grease and engines! The directions were all easy to follow and I had the pieces assembled in no time. Cheyenne even helped me out on a few of the pieces, so if an eight year old can assemble the dresser we ordered I'm sure anybody can. We're in love with all of the pieces and I'm happy I made the decision to purchase the items, especially since Sauder furniture is so affordable. We're still amongst the chaos but things are coming together nicely even though the kids have taken over some of the pieces as their personal storage items. Sauder Woodworking Co. makes a braod variety of designs and style that cost a lot less than you think, giving you the freedom to furnish your home at a fraction of the cost! Sauder believes furniture should be affordable without sacrificing style or quality. 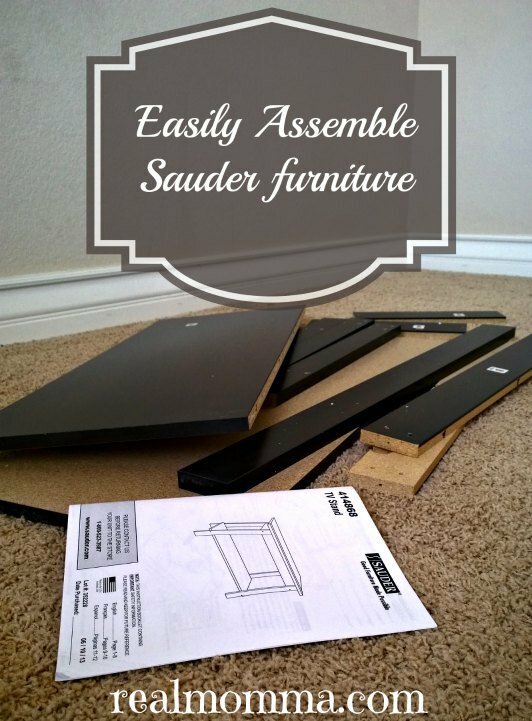 For your next home makeover consider purchasing a few Sauder furniture items you won't be disappointed. And stay tuned more home makeover photos are to come! !